School Board appoints Templeton principal - Hamilton School District. 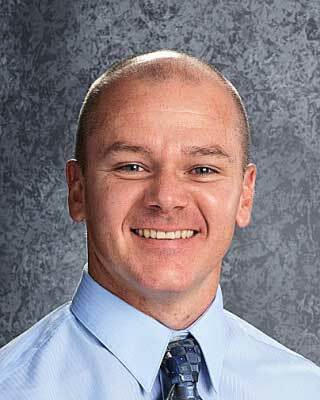 The Hamilton School Board unanimously approved Brad Hoffmann as the new Templeton Middle School principal. He replaces Paul Mielke, Ph.D., who was chosen as the district’s superintendent on July 1 following the retirement of Kathleen Cooke, Ph.D.
Hoffmann has been the Templeton associate principal since 2005. Before then he was assistant principal and athletic director at Palmyra Eagle High School. His previous experience was at Scott Highlands Middle School in Apple Valley, Minn., where he was the administrative associate, teacher and athletic director for three years and a physical education and health teacher for four years. He earned his administrative license from Minnesota State University in Mankato, a master’s degree in education from St. Mary’s University in Winona in 2000 and his bachelor’s degree in education from the University of Wisconsin – LaCrosse in 1996. Templeton Middle School serves approximately 1,000 sixth-, seventh- and eighth-graders, and is located at N59 W22490 Silver Spring Dr., Sussex.